It is not very unusual that comics are used as a specific tool for social satire. 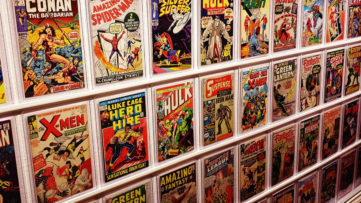 Aside from commercial ventures such as EC Comics or Marvel, this particular medium attracted an alternative culture during the second half of the 20th century, so comics became a sort of a socially or politically-charged publication. Times have now changed, however, and comics as such went out of fashion turning into feature films. Thankfully, certain artists use it still as the perfect vehicle for articulating contemporary living. 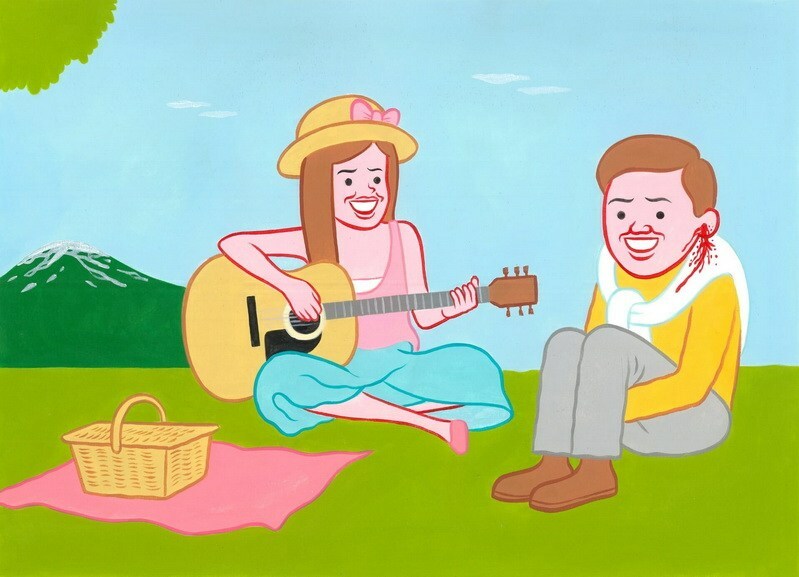 Such is the case with the renowned Catalan artist Joan Cornellà, who is best known for his bold, humorous, yet slightly bizarre and engaged comics. His latest series will be on display at the PUBLIC Gallery in London within his solo exhibition titled I’M GOOD THANKS. 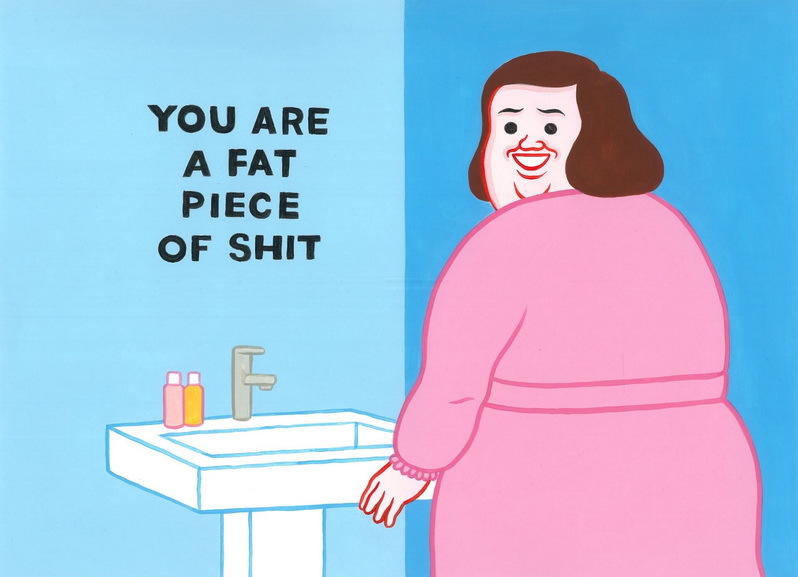 Barcelona-born Joan Cornellà gained international fame for his bright palette and surreal, often unsettling imagery. In a critical manner, the artist tackles various themes such as racism, homophobia, suicide, self-mutilation, abortion, murder, and deformity. With the latest series of new works, Cornellà is exploring the dystopian vision of contemporaneity. 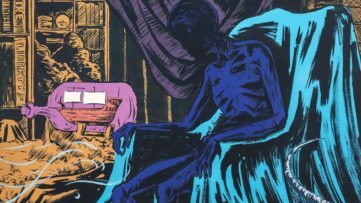 At first glance, his works seem cheerful and innocent; all the figures are represented smiling generically and are reminiscent of the 1950’s advertising; however, they are then caught in a violent and disturbing situation. 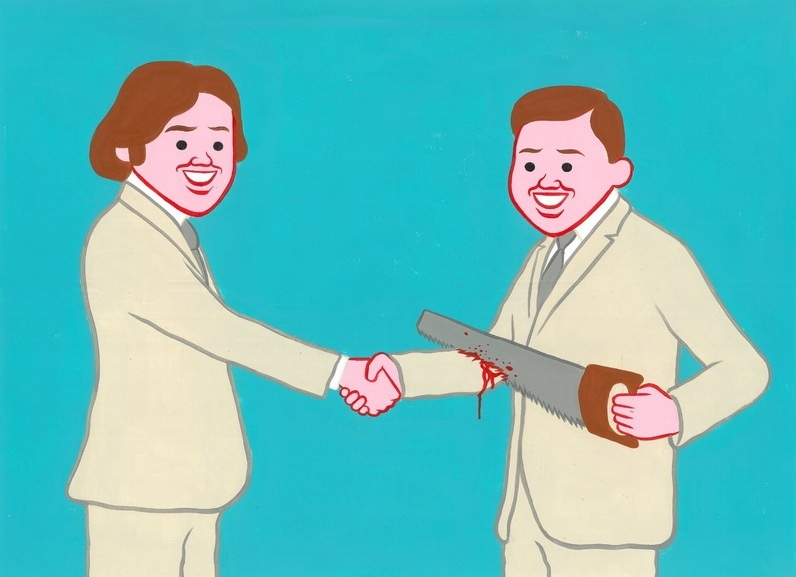 By twisting codes of socially desirable behavior, Joan Cornellà dissects the present day culture and indicates the darkest layers of the same. The compositions do not leave any observer indifferent; moreover, they deliver a reflection of our misleading and hypocritical interaction. The installment is centered around the sculpture of the artist’s trademark suited character, hanging from a noose and smiling while attempting to pose for a selfie. All the other works just extend this message of society’s depraved nature by underlining our bizarre connection to social media, as well as political topics such as addiction, abortion or gender issues. I think we all laugh at misery. We must start from the idea that when we laugh, we laugh at someone or something. With empathy or not, there is always some degree of cruelty. In spite of that, I am aware that if one of my cartoons happened in real life I would not laugh at all. I’M GOOD THANKS will be on display at PUBLIC Gallery in London from 3 April until 4 May 2019. 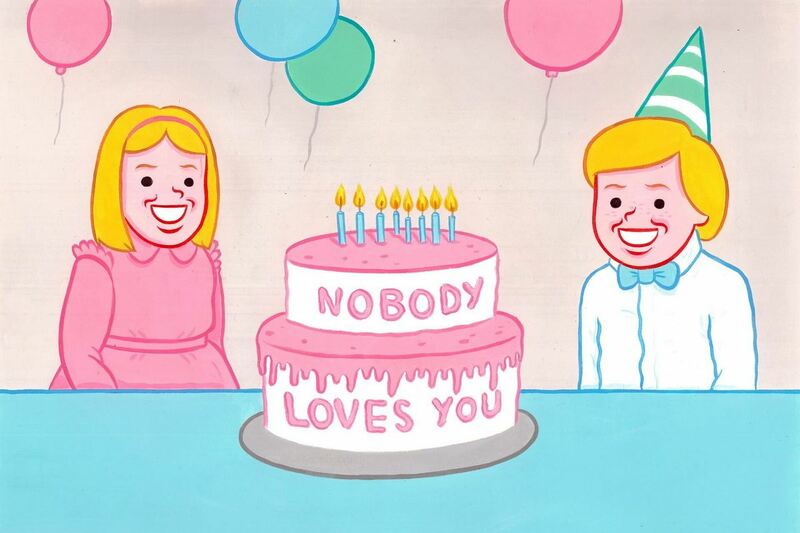 Featured image: Joan Cornellà – Nobodylovesyou, 2018. All images courtesy the artist and PUBLIC Gallery.